GREAT IV Released at MCEL 2016! GREAT IV (the fourth publication) was released by the Montana Public Education Center (MT-PEC) at MCEL 2016 on October 20th ! 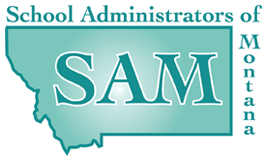 Click HERE for the pdf version of this publication that is intended for the use of all audiences in understanding the outstanding value Montana's public schools provide for our communities and the benefit for our state (Click HERE to see the publication in a brochure format). Click HERE to see the animated video that "tells the story" of our constitutional promise to meet the full educational potential of each citizen of our state. Please use these resources in any manner you see will help in your community.